This was the Saint Germain Foundation’s lodge and religious retreat, a former ski lodge, before it burned in January 1952. The group’s religious beliefs were upheld in a major U.S. Supreme Court decision in 1944, two years after the organization had bought the lodge. Driving across Colorado and the West, I see historic buildings or structures that compel me to get out of my truck and take a walk. 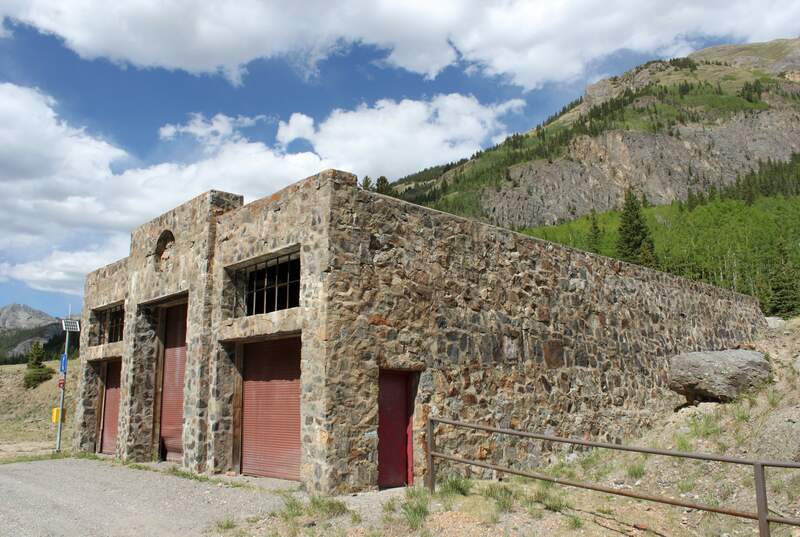 For years, I’ve driven between Silverton and Ouray and noticed the large stone garage just east of Crystal Lake in Ironton Park. I’ve always wondered what it was, but in my most vivid imagination I could never have created the story I’m about to tell. No fiction. Just fact. Including: a ski area, a religion, loudspeakers sounding heavenly music, a couple’s spiritual beliefs tested all the way to the U.S. Supreme Court, a tragic fire, a yellow Cadillac, and the colors of the rainbow. Across U.S. Highway 550, the partners created today’s Crystal Lake and stocked it with trout, which Colorado Gov. Ralph Carr ate while he attended the lodge’s opening ceremonies in 1940. But the lodge never succeeded. The business partnership failed. As the ski area sat vacant, a burgeoning religious movement, borne out of the desperation of the Great Depression, lost one of its founders. The religion’s practitioners sought solace in the San Juan Mountains. They bought the lodge and ski area. In many cultures around the world, mountains are seen as sacred places. 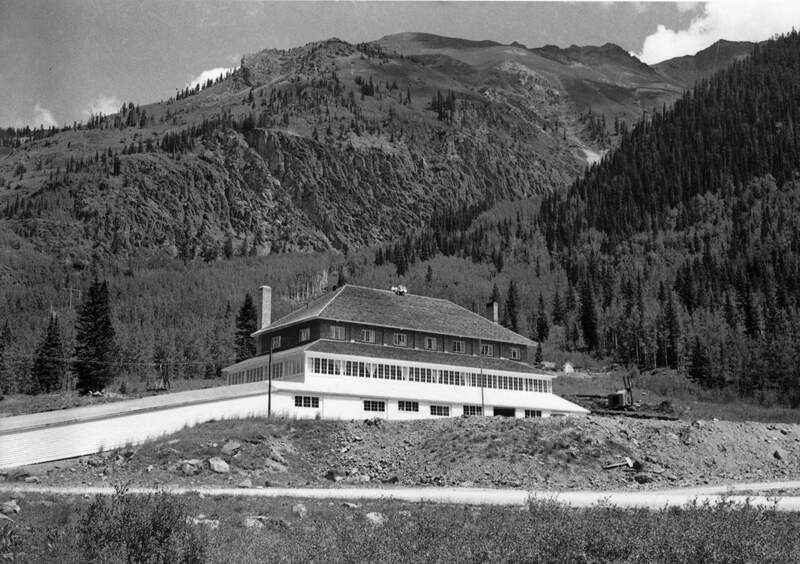 Ouray bills itself as “the Switzerland of America,” so maybe that’s why in the 1940s the Saint Germain Foundation bought the unused ski lodge for a religious retreat. A decade earlier in 1930, Guy W. Ballard, hiking on Mount Shasta in northern California, had encountered the Ascended Master Saint Germain. That experience was the origin of the “I AM” religious teachings. According to the Saint Germain Foundation, Jesus Christ was an Ascended Master, and Joan of Arc and Benjamin Franklin were earlier embodiments of Mrs. Guy Ballard. In the 1930s, Saint Germain inspired Guy Ballard to write books titled Unveiled Mysteries and The Magic Presence. The books communicate theosophy, and volume No. 3 is The ‘I AM’ Discourses, which are sacred scriptures and part of the Ascended Master Teachings religion. In 1939, Guy Ballard became an Ascended Master. The “I AM” movement grew spectacularly during the dark days of the Depression. In 1942, the federal government indicted his wife, Edna Ballard, their son Donald Ballard and other affiliates on 12 counts including mail fraud. 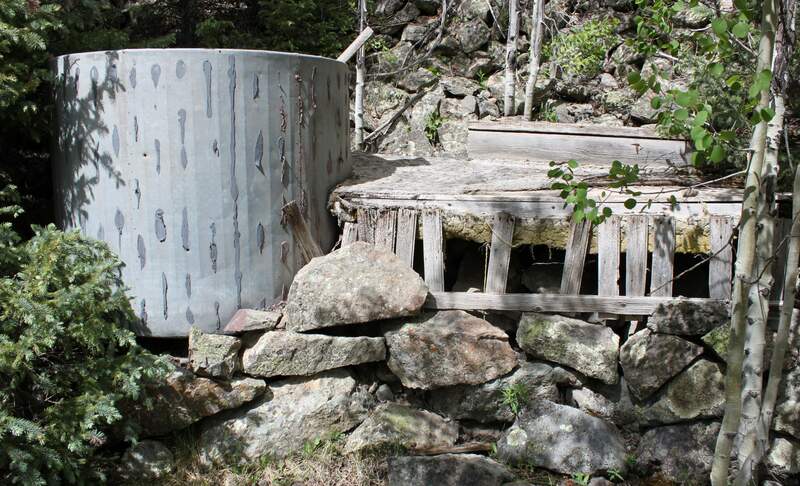 They were convicted of organizing a moneymaking scheme, and the same year the foundation bought the lodge and members moved to Ouray seeking privacy. The Ballard family appealed the convictions, and two years later the U.S. Supreme Court ruled in one of the most important decisions about religious freedom in the 20th century. The Ballards won. The U.S. Supreme Court overturned their conviction in United States v. Ballard 322 U.S. 78 (1944). In a victory for the First Amendment of the Bill of Rights, the high court ruled that the tenets of one’s religious faith could not be legally challenged. Now comes her yellow Cadillac, Mrs. Edna Ballard, and members of the “I AM” religion. They preferred the colors of the rainbow, including purple and yellow, and her inner staff wore formal clothes. One story is that a local Ouray teacher involved in the “I AM” religious group would not tolerate red and black crayons in her schoolroom. The lodge held a sanctuary on the main floor for regular services. Sounds of violins, carillon bells – at the time the highest in the world – and harp music wafted down the canyon. Nearby were plans for a music healing temple. Followers of the religious group produced radio broadcasts “that went all over the world” through wire connections from the property. Normally five to 10 people lived on site, but when Mrs. Ballard arrived there could be as many as 25 assistants. “She came three to four times a year. She absolutely loved it. She was at her happiest at the lodge in Ouray,” Thayer says. To this day the Chicago-based Saint Germain Foundation exists worldwide with over 300 “I AM” sanctuaries and centers, including one in Santa Fe. But not in Ouray. According to Paulson, “In 1947 they announced plans to open a large summer camp able to house over 500 people but that never materialized. Unfortunately, in January of 1952, the lodge caretaker accidentally set the building on fire using a blowtorch” while melting snow and icicles on the roof. Because of prevailing canyon winds the old mining timbers burned instantly. Terraces show where summer cabins would have been built. 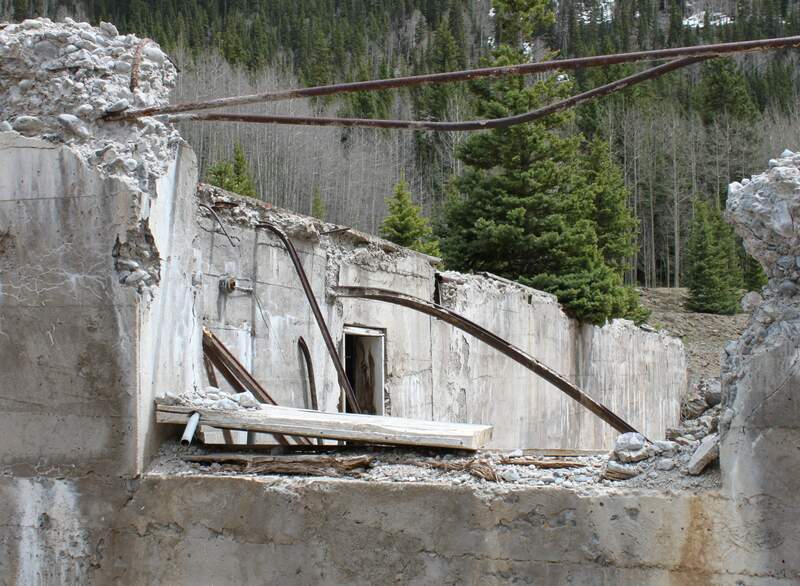 The foundation held on to the property for a few more decades and members of the organization camped on site. On Feb. 10, 1971, . Edna Ballard died in Chicago and took her ascension as the Ascended Lady Master Lotus. I agree with the Saint Germain Foundation. Mountains are sacred places. 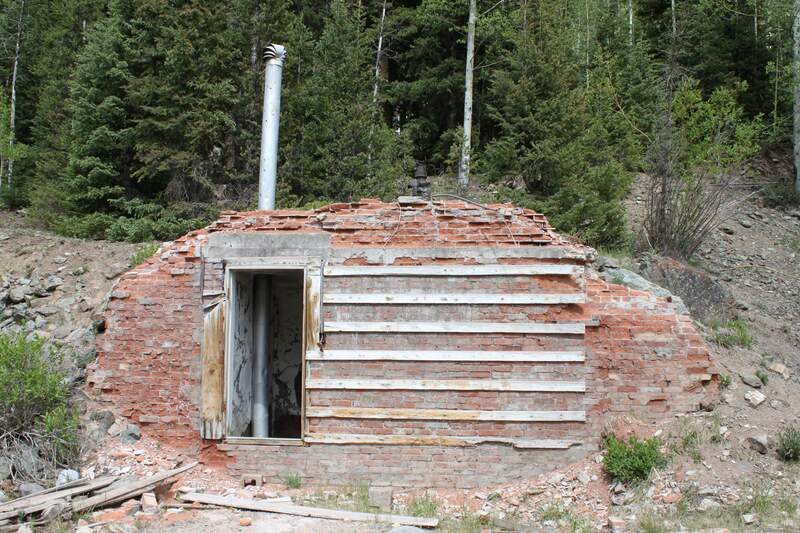 The foundation established more permanent quarters at Mount Shasta, and their former Colorado religious retreat is once again public domain. For me, the silvery San Juans meet my spiritual needs, and though I like rainbow colors, I prefer blue – sky blue – the color you see at 12,000 feet.